It’s that time of year! That’s right, it’s planning time when we all put our heads down and map out what we want to accomplish in the coming year. If blogging is part of your content marketing plan, you’ll want to review these blogging tips for 2019 to get at least one idea you can put into action. If blogging is part of your content marketing strategy, there needs to be a clearly defined set of goals for what you’re doing. It may sound obvious, but many times, blogging is seen as being about the creation process — not necessarily about the business impact of that content. The goal may be to grow your email subscriber base, book more clients, or boost your bottom line — just as long as your content has a specific objective in mind. Sure, your content can entertain, but it also needs to drive readers to take a specific set of actions. Once you’ve figured out your goals, then you can start to reverse-engineer your content. 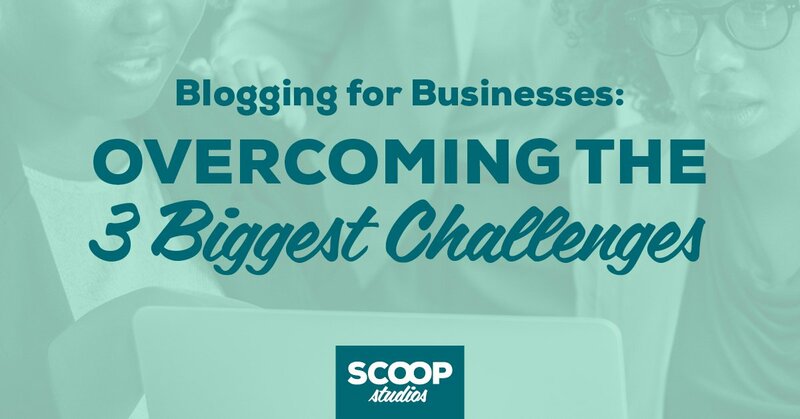 For example, here at Scoop, we work with B2B clients who use blogging (and other content marketing) to reach their goals, so we focus our blogging efforts on educational content that helps readers better understand their content marketing challenges and provide proven strategies for how they can solve them. As such, our blog content is focused on blogging and case studies — both of which are pain points for our audience. Before you start creating your blog editorial calendar, please close that spreadsheet! In creating content, you want to meet the needs of your audience, but you also want to do it in a way that sets your brand apart. That typically requires some creativity which means investing time in ideating your content. I typically recommend this is done at least once per quarter and that you include key stakeholders in the process as you want to get as much information as you can from the people who are closest to your customers. You want to use this session as a way to come up with a stockpile of ideas, so let your creativity go wild. Then you can spend time organizing and collating the winning blog post concepts. A new year is the perfect time to dust off your standard operating procedures for the blog and ensure they’re all up to date. Over the course of a year, a lot of things change and evolve, and you may find you need to change or completely overhaul your systems. As part of this update, look at if you need new or different tools (or if you should ditch the ones you’re currently using) or if you need to shift responsibilities within the team. Finally, editorial guides or blog standards documentation should also get a little TLC to ensure they reflect current reality. Search Engine Optimization (SEO) is shifting, and for your content to continue to be found via search, you need to stay on top of these changes. While Google did a major update to the algorithm (known as the Media update) in August 2018, there are many factors contributing to SEO changes. For starters, voice search is on the rise, thanks to devices such as Google Home and Amazon Echo. It’s estimated that voice queries will be 50% of searches by 2020. As a result, keywords used for blog post SEO need to shift to reflect natural search language, and your keywords will need to be more and more conversational. This may result in longer keyword phrases and the use of full sentence questions in your content. Also, as we saw in 2018, video will continue to dominate in search results. Google is actively showing video higher than plain text in search engine results pages (SERPs), so consider adding video to your blog posts wherever possible. Speaking of Google, search results already prioritize mobile-friendly content, but it’s also important to consider that more and more of your blog readers are consuming content on a small screen. As part of your blog strategy, consider how you can ensure all of your content is ready for consumption on a mobile device. This may be paying special attention to the skimmability of content by making generous use of subheads, pull quotes, and/or videos. 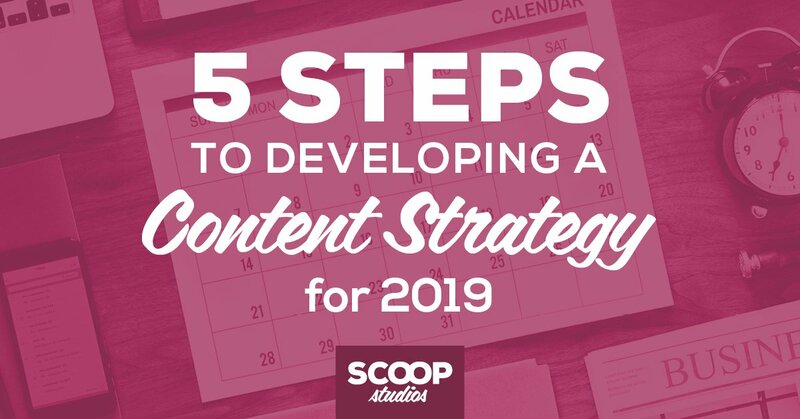 You may also want to consider how you can take your blog posts and turn them into “snackable” content that’s visual and can be consumed in seconds flat. This may be in the form of GIFs, memes, infographics, short videos, and quizzes. Get creative and find ways to convey the message of your blog content and summarize the key points in an engaging format. Yes, attention spans are shrinking, and it’s hard to get people’s attention online, but creating longer form content brings with it a host of unexpected benefits. Long-form content is seen as more authoritative, and it tends to rank better on Google than shorter content. While developing a 2500 or 5000-word post takes greater resources to develop, typically, it’s evergreen meaning it can be used for months — or even years — to come. Keep in mind that it’s not an either or when it comes to using long-form or short-form content. You can use both. Start with one or two long-form posts on evergreen topics to experiment with this tactic in 2019. Social media is one of the biggest ways to get your content seen, but it’s so easy to fall into a rut. We’re so busy that we can continuously post the same type of content on the same platforms week in, week out. Even if your social promotion is going well, a new year is the perfect time to be innovative and shake things up. There are three ways you can do this — starting with changing up the type of content you use. If you always have a blurb and an image with a link to the post, look for a way to interrupt that pattern. Maybe it’s using a poll or a GIF or something else entirely. The goal is to keep your content fresh, so people don’t scroll on by! Consider changing or adding new social platforms you use for your business. Maybe you have a couple of platforms that deliver results, so it may be time to add a new one to the mix. Or perhaps you’ve been trying to make a platform work, and you just can’t get any traction, so it’s time to abandon it completely. Finally, pay attention to your metrics on each platform to see where there may be the opportunity to optimize by changing the day or time of day you post or your frequency of posting. Your metrics provide clues on how to improve over time. With the blog, you’re looking to move your readers into the next step on their journey, so don’t let your call to action get stale. For example, if you’ve had the same CTA of “sign up for this whitepaper” on your last 20 posts, you may want to switch to offering a webinar or sharing a customer case study — especially if you’re not generating the desired number of leads each week or month. Consider creating new middle of the funnel content, so you have multiple potential CTAs for your blog posts. That way you can ensure the CTA closely aligns with the content in the post, making the reader more likely to take that next step. You may have heard the saying that “facts tell, stories sell” and you’re likely using case studies or testimonials in your marketing funnel. 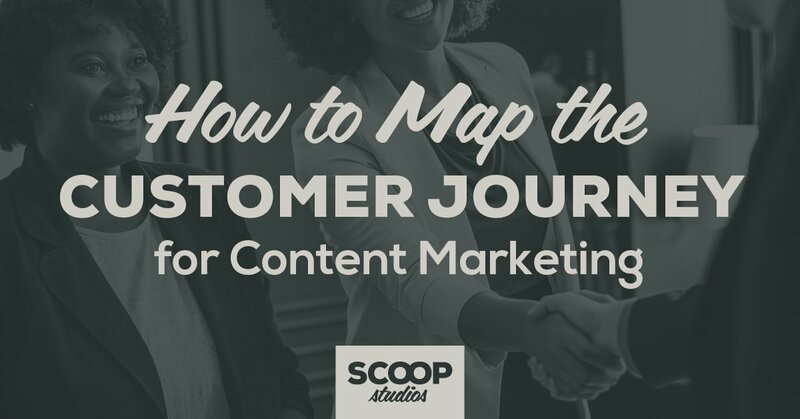 Many times, I see this type of content used in the middle or bottom of the funnel when customer stories can also be used at the top of the funnel to help your readers identify the problem their having. Use customer examples in your blog posts, or create blog posts that put your customers front and center. Case in point, Scoop Studios client Curaytor deploys their case studies throughout their funnel to generate leads. As a company targeting real estate agents, they’ve profiled their clients in blog posts to showcase their business successes, which helps other agents see the potential for Curaytor products and services for their businesses. As I touched on earlier, voice and video are here to stay, so as part of your blogging plans for 2019, carefully consider how you can stretch your blog content further. Extending your content to other mediums, such as podcasts, video blogs, or live video content, helps your content reach more people as not all of your prospects want to read a blog post. Dive into your buyer personas to assess what content formats are aligned with your audience’s needs. For instance, if you’re targeting decision makers with a daily commute, a podcast may be the best way to reach these busy professionals. Or if you have a complex message, you may try using explainer videos. There are so many possibilities, and you may be surprised at how you can reach an entirely new segment of your audience with a new content format. 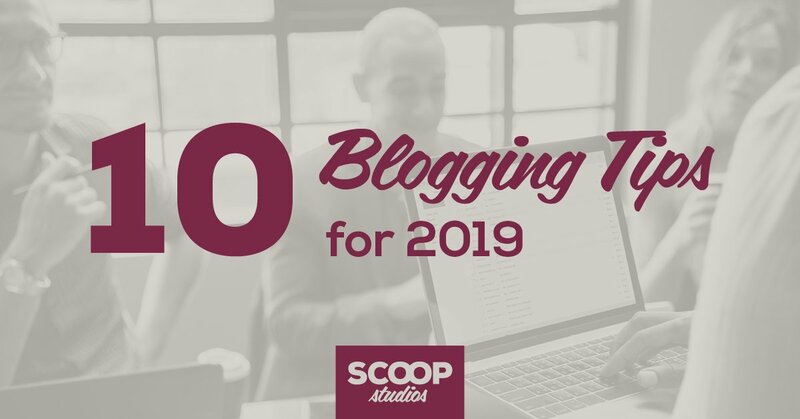 As you’re thinking ahead to 2019 and making plans for your blog, use one or two of these tips to breathe new life into your efforts and help get better results. If you want to talk about any (or all) of these tips and how they can be used for your business in 2019, I’d love to chat with you. You can learn more about our services, and request a content marketing consult call here. Maggie is Scoop's principal consultant and B2B customer case study expert. A Master Level Content Marketer she has over 15 years experience in working with customer success stories. WE'LL NEVER SPAM YOU. PINKY SWEAR. WANT TO CONNECT & CONVERT YOUR WEBSITE READERS? WANT TO BE MORE PRODUCTIVE? YOU NEED A PLAN!